Jaipur history dated back to 18th century. Jaipur, the current capital of Rajasthan, was built in 1727 AD by Maharaja Sawai Jai Singh II. Maharaja Bishan Singh was demised and his son Jai Singh came to power at the age of 11. 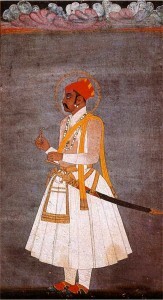 The Kachwaha Rajput faced with the rivalry with Sisodia, ruler of Mewar, he allied with the Mughals. With the help of he Mughals, Jai Singh had secured his throne and the kingdom flourished in his reign. Jai Singh first had the capital in Amber, which is 11km away from Jaipur. As the city grew, water supply became a problem in Amber. Finally he decided to move the capital to Jaipur. Jai Singh was a talented ruler. When he moved the capital, he appointed Vidhyadhar Bhattacharya, an architect from Bengal to make a complete city plan according to Shilpa Shastra, the science of Indian architecture. From residential area, parks, markets, palaces to roads, water system and fortification of boundary, everything was meticulously planned. It took four years to plan and it was said that Jai Singh actually laid down the foundation of the city himself in 1727. He continued to monitor the construction of the city to make sure it followed the traditional Rajput architectural design. Thus, Jaipur has the privilege being the first planned city in India. The Royal City Palace was also built in this period with the Hawa Mahal as a continuation by the later ruler. With the death of Jai Singh in 1744, the city was constantly attacked by the Rajputs and Marathas. Throughout the history, Jaipur was mostly under the rule of Rajputs. This includes Sawai Pratap Singh (1764 – 1803) who built Hawa Mahal, Sakai Ram Singh II (1835 to 1880), Madho Singh II (1861 – 1922) and Sawai Man Singh II (1911 – 1970). Even when the British. came, Jaipur is one of the very few parts of India which was never rule by the British. Jaipur gained the name of Pink City in 1853 when Sawai Ram Singh ordered to paint all royal and government buildings in sandstone colour to welcome the Prince of Wales (later King Edward VII) to the city. After India’s independence, Bikaner, Jaisalmer, Jodhpur and Jaipur merged to form the new Rajasthan state with Jaipur being the capital city. The entrance is through the City Palace where doors open into a open spacious courtyard with two-storeyed buildings on three sides.